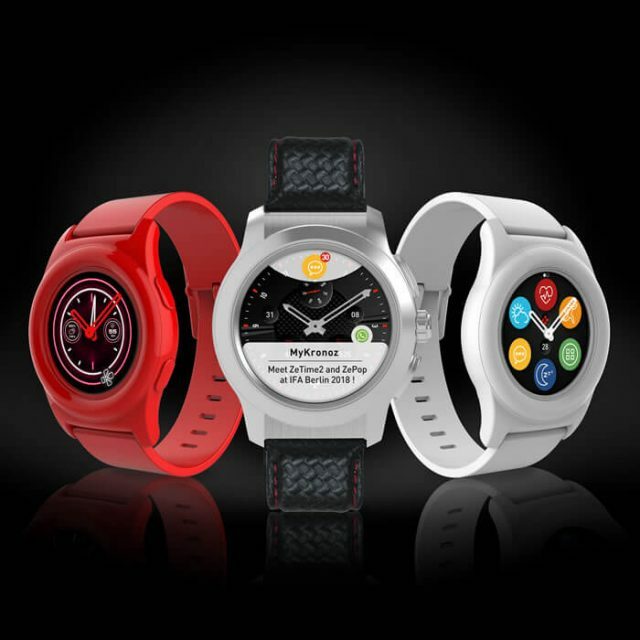 After raising $8M dollars with ZeTime on crowdfunding platforms last year, MyKronoz pursues its ambition to become the worldwide leader of hybrid smartwatch by unveiling two new models at IFA 2018: ZeTime2 and ZePop. The second generation of the world’s first hybrid smartwatch with mechanical hands and touchscreen is now set with a full round AMOLED color display and voice recognition feature. Embarking an improved user interface while boasting an increasingly sleek and timeless design, ZeTime2 will undoubtedly become an essential accessory of your daily life. Introducing our collection of colorful and pop hybrid smartwatches. Design to fit the vibrant style of the new generation, ZePop will come as an attractive option for all of those looking for a functional and stylish wearable, with an accessible price.